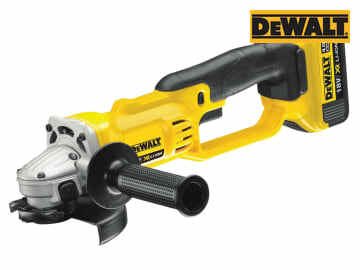 The DEWALT DCG412 125mm XR Premium Angle Grinder has a powerful fan cooled motor and intelligent variable speed trigger and lock-off switch for enhanced work safety and control. 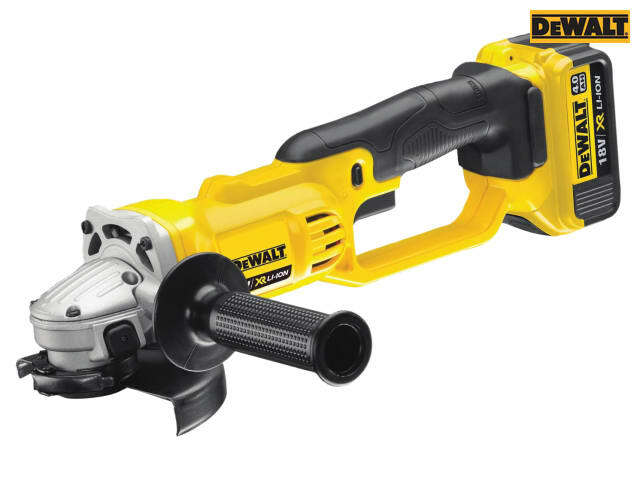 It features the XR Lithium Ion Technology and is part of the intelligent XR Lithium Ion Series designed for efficiency and making applications faster. DCG412M2: 2 x 18v 4.0Ah XR Li-ion Batteries. DCG412M2: 1 x 18v 4.0Ah XR Li-ion Battery. DCG412N: Bare Unit, No Battery or Charger. 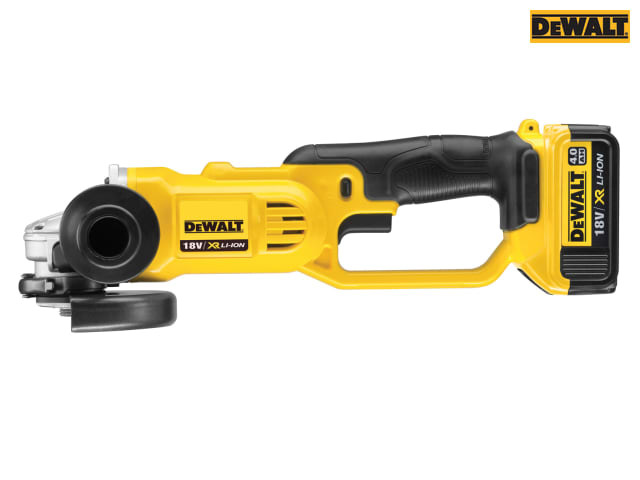 It is supplied with a 2 position side handle, keyless protective guard, blade wrench, multi-voltage charger, 2 x 4.0Ah XR Li-ion battery packs with state of charge indicator and a heavy-duty kit box. 1 x 2 Position Side Handle. 1 x Keyless Protective Guard. 2 x 4.0Ah XR Li-ion Batteries.